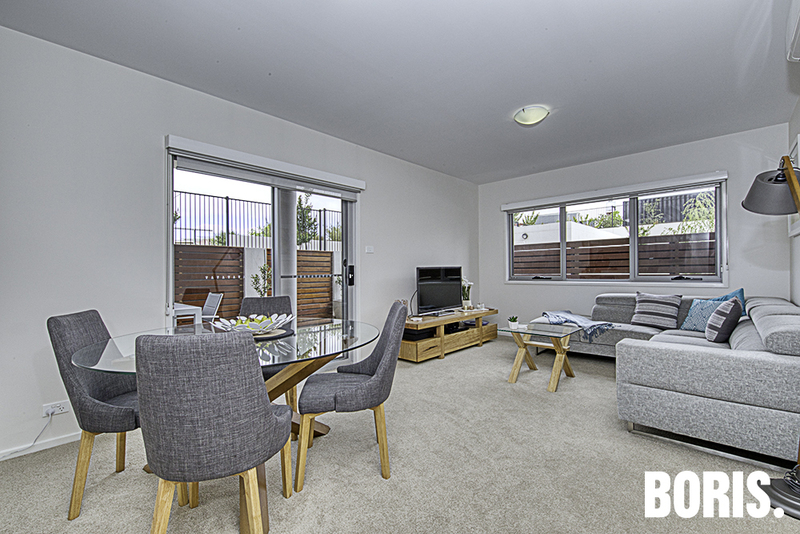 Arguably the best 2 bedroom apartment on the market in the Molonglo Valley! This immaculately presented and impeccably maintained two bedroom two bathroom apartment is as fresh and new as the day it was built! Easy to live in, and all on one level, this apartment is very quiet and private with no overlooking from the surrounding apartments. 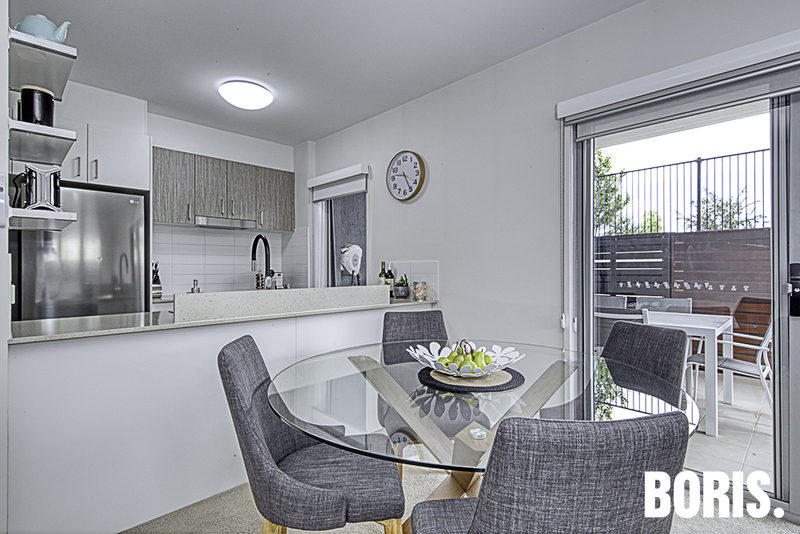 It is spacious and tastefully decorated with a neutral colour palette throughout. Sunshine floods the north facing living and dining room, master bedroom, private courtyard and covered entertaining area. 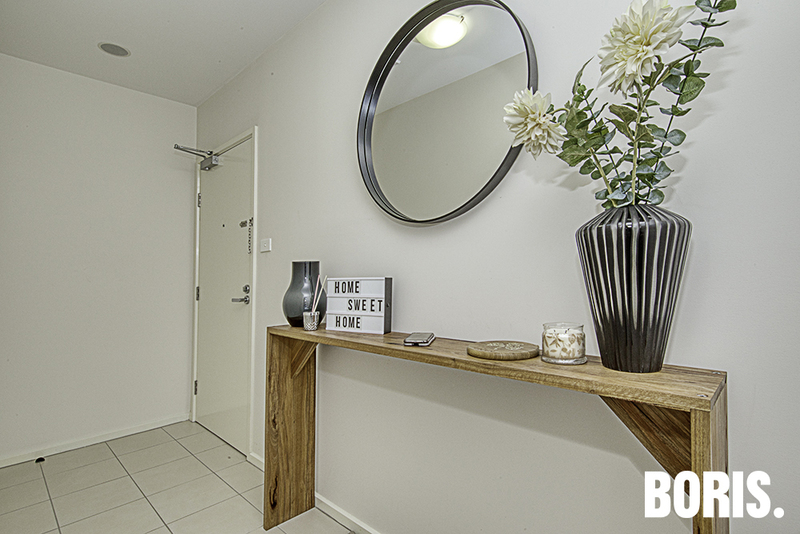 The owner has added some little luxuries to the original apartment including a pull out pantry and additional shelving in the kitchen, merbau timber lining in the courtyard and a lockable gate that facilitates direct access to the courtyard from the kerbside. 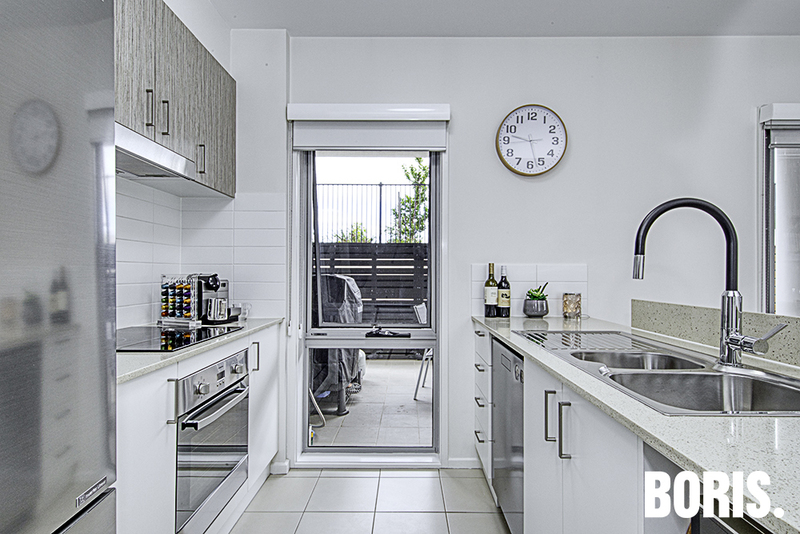 The light and airy kitchen includes stone benchtops, plenty of cupboard space (including a pantry), Ariston induction cooktop, electric oven and dishwasher – and a very stylish mixer tap over the double sink! Both bedrooms easily accommodate a queen size bed and side tables, have generous built in robes and each has its own bathroom.